Date: Apr 25 2019, 8 a.m. - 5 p.m.
Are you new to the Arsenal or do you have new employees or Service Members in your office? Make sure to get them/yourself signed up for our next Newcomer's Orientation and Tour. 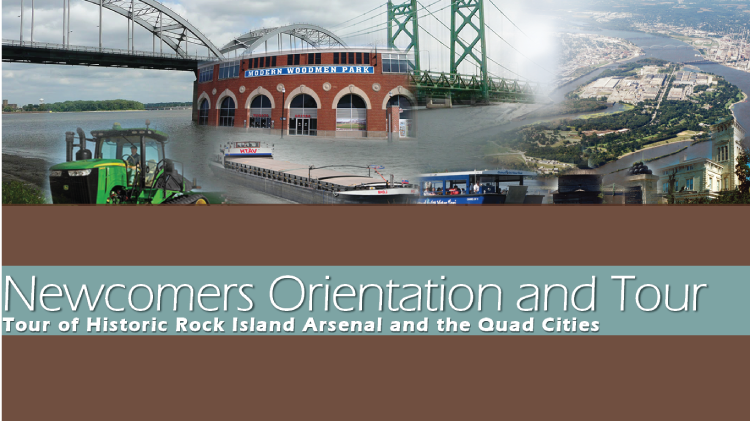 The briefings and info on the tour will include everything a new employee needs to know to successfully transition to the Rock Island Arsenal and the surrounding Quad Cities and make their new home feel like home. This free service includes breakfast & lunch courtesy of our sponsors, Rock Island Arsenal Federal Credit Union and USAA. Space is limited so call +1(309) 782-0829 for more info and to reserve your spots.